Before every medical mission, we spend time learning about the arts and culture of the community we are preparing to visit. By learning about the people and cultures we visit, our minds are expanded and our lives our enhanced by the new knowledge and experience. The culture of Cuba is a melting pot of influences from African, European, American and indigenous people. Music, sport, literature and art are all touched by these influences. 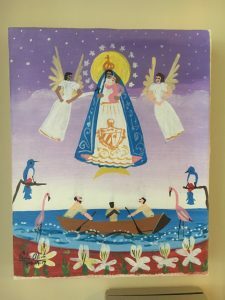 In addition, the unique political climate in Cuba also adds to the culture of the country. The music of Cuba finds its roots in Europe and Africa. Modern Cuban music is a fusion of these great sources and it is vibrant and engaging. The music of Cuba grew in the self-organized social clubs called cabildos, and included strong influence from Spain, Congo, Haiti, and Brazil. Music includes the beats of Rumba, Bolero, Mambo, Cha-Cha, American Jazz, the Spanish Flamenco, Rock and Reggae. Lately Cuban Hip-Hop has been embraced by the people, if not the government. Hip-Hop is growing in approval in the country as leaders see it as a way to reach the younger Cuban generations. Sport, the benefits of it, and Fidel Castro’s love of sports, has resulted in the country’s international successes in baseball, in particular. The country enjoys boxing, basketball, track and field, volleyball and rugby as well. Interestingly, soccer is the up and coming sport in the country, seen by the younger generations as their sport, they view baseball as the sport of the older generations. Cuban food, like their music, is a mashup of Spanish, African and Caribbean cuisines. The most popular foods are black beans, rice and meat. Traditional rice with black beans is called Criollo and is a highly seasoned dish. Cuban coffee is grown mainly for export. 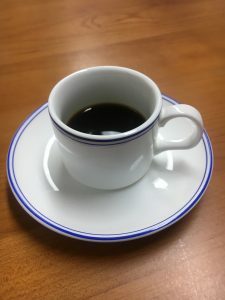 The drink is strong and almost thick, quite delicious and is served in espressos cups. It will wake you up! 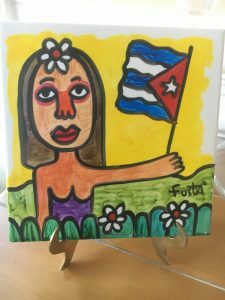 Cuban literature and art has gone through changes as the country’s history has changed. Starting in the 20th century artists and writers embraced modern themes. Artists in particular began creating murals and outdoor art projects. Art and literature themes and styles are as diverse as the population. Nobel prize winner American author, Ernest Hemingway arrived in Havana, Cuba in 1939 and made Cuba his winter residence. It is here that he became fascinated with keeping cats as pets, and added dozens of them to his household property. He wrote “For Whom the Bell Tolls”, published in 1940, a Pulitzer Prize nominated novel. He was an avid traveler and left and returned to Cuba many times. He loved his home there. He wrote the draft for “The Old Man and the Sea” in 8 weeks, and the novel won the Pulitzer. Returning to Cuba again in 1957 with his diaries and notebooks he recovered in Paris, he began work on “A Moveable Feast”. 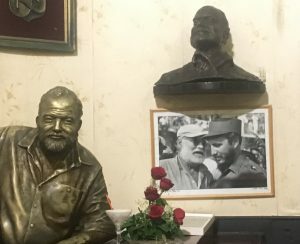 Hemingway was in Cuba in November 1959, between returning from Pamplona and traveling west to Idaho, and returning the following year for his 60th birthday. He and his wife left Cuba in 1960 after learning of Castro’s plan to nationalize property owned by Americans and other foreign nationals. He left Cuba on July 25, 1960, never to return. El Floridita is a historic fish restaurant and cocktail bar in Old Havana was founded in 1817. The home of the Daiquiri, Floridita is also Hemingway’s favorite hangout spot in the city. 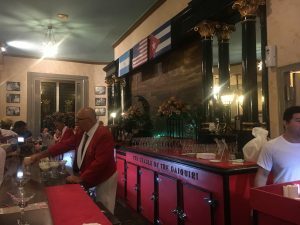 He frequented the bar both when he lived in a room in the city, and after he purchased a home outside of Havana. After the Cuban Revolution in 1959, many artists left the country to be able to continue their work. Those that remained began creating state-sponsored art, despite the implied censorship by the government. Until the 1980s art and literature did not criticize the government or the Revolution. The 1980s saw a rebirth of open expression in art as young artists began creating, artists who had no direct memory of the Cuban Revolution. There is incredible street art across Havana. In particular, Fusterlandia – created by artist José Rodríguez Fuster, an artist specializing in ceramics, painting, drawing, engraving, and graphic design. While he has art exhibited around the world, it is his work at home that is most memorable. 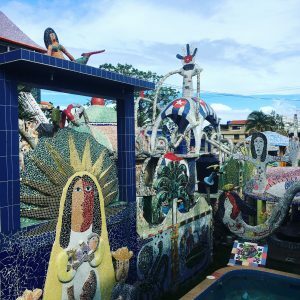 Starting with his own home, he has created a unique piece of public art, decorating over 80 homes with murals, domes and mosaics reminiscent of Barcelona’s Gaudi and Brâncuși in the Romanian city of Targu Jiu. The team is excited to meet our patients who come from this richly artistic population. Experiencing the culture will be a special part of our week in Havana. We will bring home memories of our time in Cuba and the wonderful people we will encounter there. We will work hard to restore mobility for our patients to change their lives, and they will change ours.